Ever wanted to sit in the cockpit of a light aircraft? 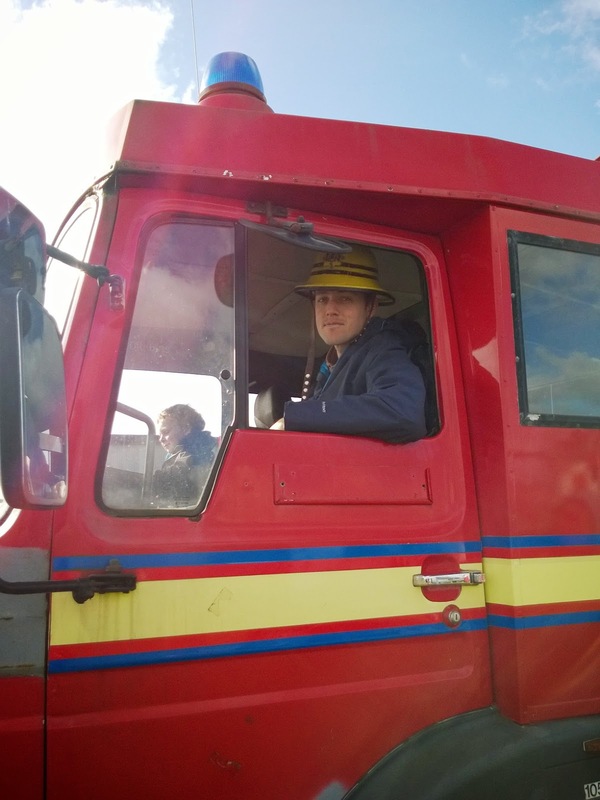 How about also climbing up into the cockpit of a Sea King rescue helicopter, or a fighter plane, or playing at being a fire fighter or a bus driver? 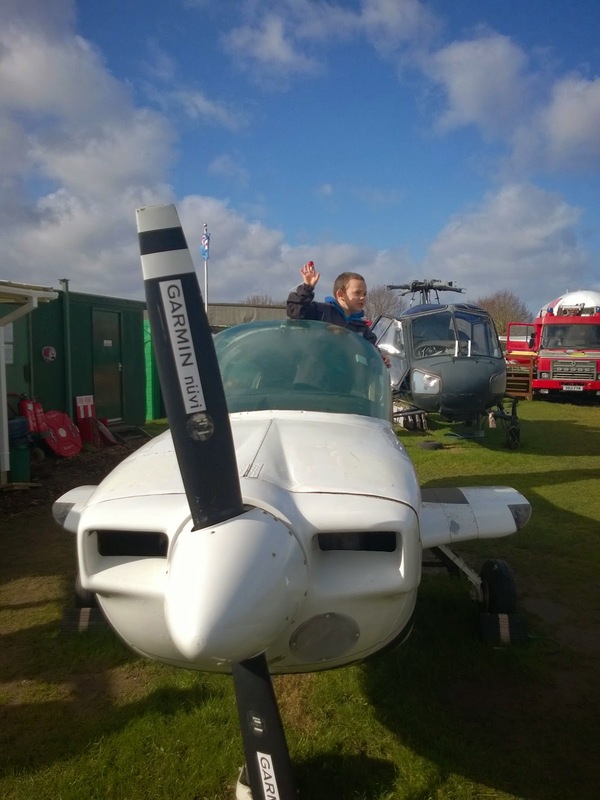 We love the Bournemouth Aviation Museum for making all these experiences possible for a really low entrance cost. Staffed by friendly and knowledgeable volunteers and stuffed with cool planes to play in and admire, this is the first place my kids ask to go to when visiting my folks. My favourite is the PalmAir fuselage you can walk inside, complete with displays about the history of the airline. 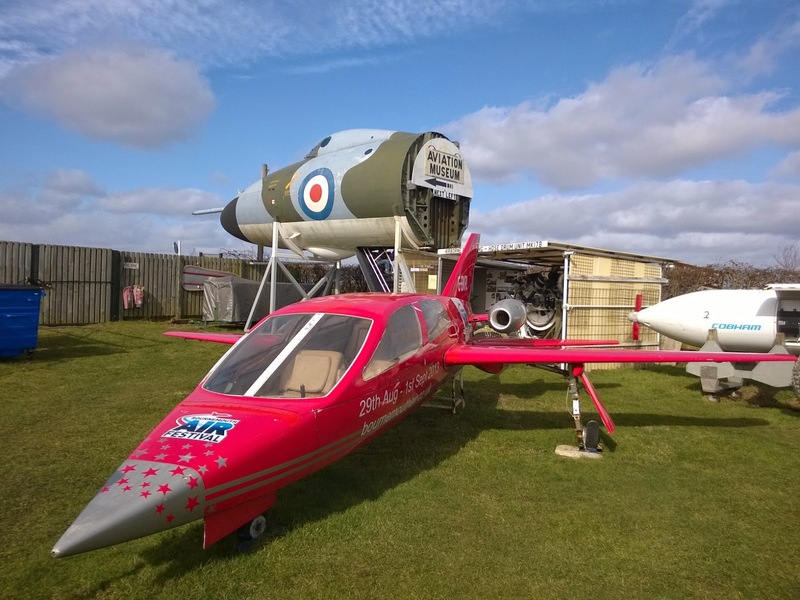 The museum is an open air site located directly opposite Bournemouth Airport, so one of the kids highlights of a visit is standing on a viewing platform and watching the passenger planes taxi along on the other side of the road, and seeing them take off. The displays of vehicles at places like the Science Museum are really interesting, but all the 'do not touch' signs, necessary as they may be, make the experience a lot less fun for the kids. The active encouragement for visitors to explore the exhibits at Bournemouth make this a fairly unique experience and one which has the kids begging to go back time and again. I particularly love the hands-on approach as it really encourages imaginative play. We usually spend half an hour as passengers at the mercy of my Ollie the bus driver, being directed to which seat we are allowed to sit on and handing over pretend bus fares for trips all over the country as his imagination dictates. Toby loves squirreling away into the hardest to access cockpits where Matt can only just squeeze in with him. We all love the big rescue helicopter. The site is family friendly, with toilets and well maintained grass that is easy to push a buggy on. Access to exhibits is often by steps, necessarily, and it's up to parents to keep kids under close supervision, especially when climbing up into cockpits high off the ground. There picnic bench seating provided should you wish to take a break and a small gift shop for bringing home pocket money toy planes or other memorabilia of your visit.